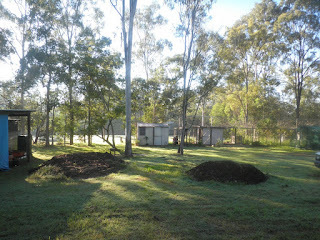 We had to move out of our rented place in inner city Brisbane. 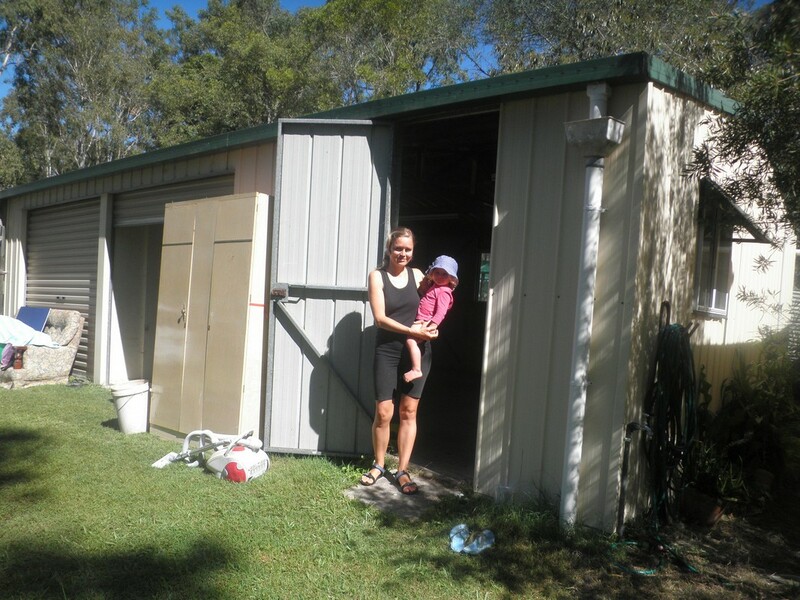 Our very good friends who are like our “Australian parents”, offered us the opportunity to live temporarily with them on an acreage close to Jimboomba until we find a new home to buy. So “the deal” is we can live in a shed for free in exchange for some help on their property. This, to us, sounds like a pretty good deal, doesn’t it? There are so many people who own a property with a lot of space but do not have the time or strength to look after it, while there are many people who are young, willing to work and have time in their hands. So combined together it is a win - win situation and everyone benefits. 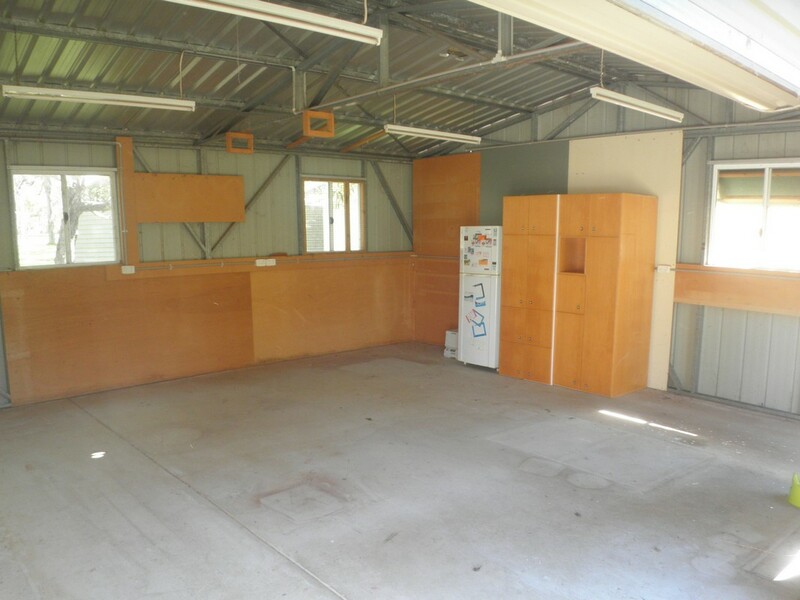 Our intention is to prove the case and show it is possible to achieve, also that converting a shed into a liveable shed does not need to be expensive. 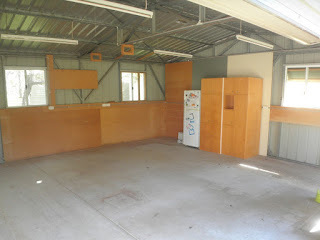 The existing shed (6m x 6m) comprises of concrete floor, three windows, an entrance door and a roller door. It is connected to the electricity supply and a rainwater tank with a water outlet on a corner of the shed. Wall and roof insulation from the manufacturer off cuts (30cm wide off cut rolls 24m long) about 120 square metres. 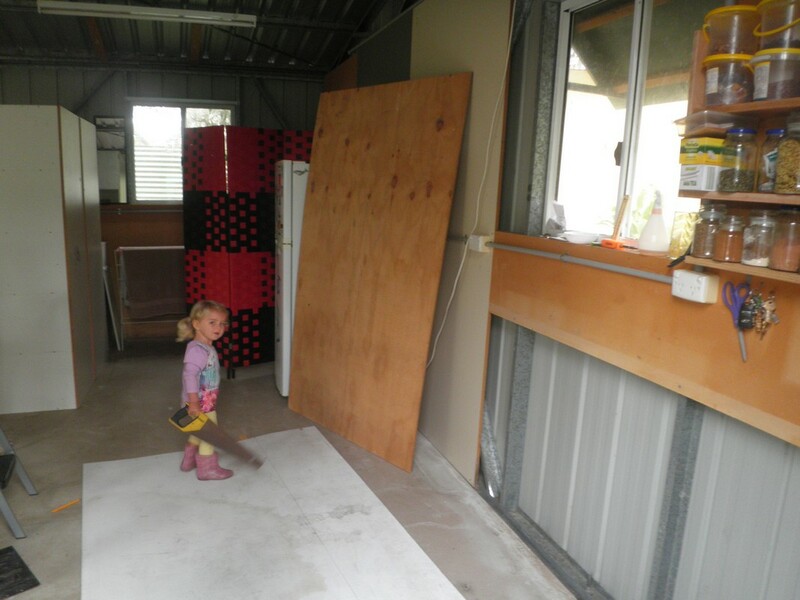 So all we had to buy were a few metres of pine studs, plaster board, reflective foil, a sliding door rail, a tiny instantaneous hot water heater and some screws. 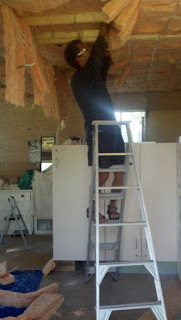 First, we insulated the walls with 6cm of thermal insulation and lined with plywood. The kitchen was reassembled and cupboards used as an L - shaped partition to create the bathroom. There are pine studs, a ceiling grill was fitted with two layers of thermal insulations and a reflective foil then lined with plaster boards to create a flat insulated ceiling. The existing roller door was dismantled and replaced with sliding doors which provide a great view at greenery and connectivity with nature. Finally, the plumbing of the existing water supply outlet at the corner of the shed is connected to our shower, kitchen sink, washing machine and an instantaneous hot water heater via a recycled garden hose. Drainage of these outlets is done by reused swimming pool hose. 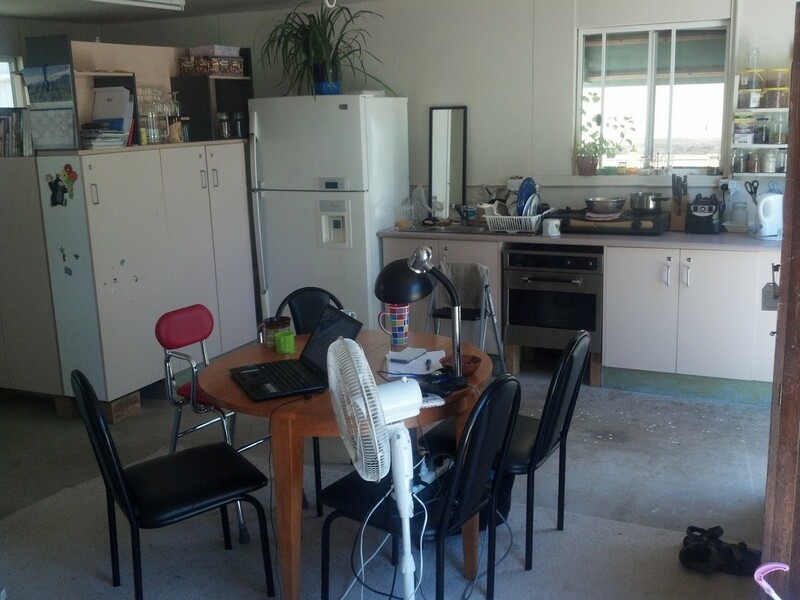 So now our “Cottage” is spacious open plan space with plenty of daylight, functional, fully liveable, and sustainable, using a minimum amount of rain water and electricity. We collect grey water to irrigate the garden and using the compostable toilet (without chemicals) to fertilize the soil before planting trees. We look after the existing veggie garden comprising of two shade houses, which produce herbs, greens and veggies which we share with our friends who live here. The existing fruit trees bear a lot of fruit. Our compost heap, which we moved from the old place, became a productive food source with self-seeded tomatoes, thorny cucumbers and other volunteer plants. Lately we built three water efficient, self-watering bath tubs and styro-boxes to extend our growing space. We are also, looking after 7 chickens, of which 3 girls moved with us, laying an abundance of fresh eggs. We keep our bees in our friend’s place in Mitchelton as they are more productive in the city, just recently we harvested over 100kg of honey from two beehives. The entire conversion of a workshop shed into a “cottage” was done within a couple of months while living there. It cost us less than $600. Our ongoing expense is less than $1 per day for electricity and internet access. This is a prime example of sustainable existence, where we help each other. It costs nothing extra and there is no need to waste resources, money, time and effort to sustain a family while living a wholesome, frugal and fulfilling life. This blog post shows how it is possible to turn this space into a comfortable, sustainable and happy home. Looking forward to seeing photographs to show what you have done with the garden. That is really inspiring and 100kg of honey - wow!! Thank you for sharing your latest goings on. I loved reading this update. And I loved how you have converted some shed space into a suitable living area. With clever recycling ideas and reuse of items you definitely saved lots of money. You have done a fantastic job, it all looks great. Wow, I really like your post because the information which you given in this blog is really extra ordinary. Don't let Possums decimate your garden produce - Take action or make a deal with them. Is your body lacking Iron? Fix it with a natural and easy remedy!